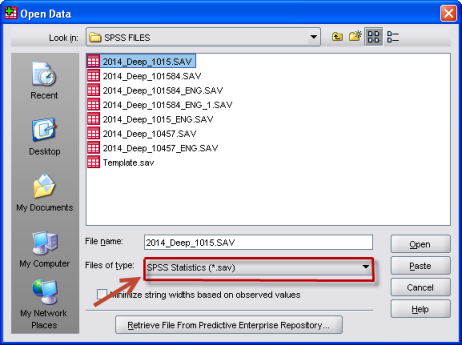 Go to File >> Open >> Data >> Select file >> In Files of type box , use drop menu to select SPSS Statistics (*.sav) >> Press Open . 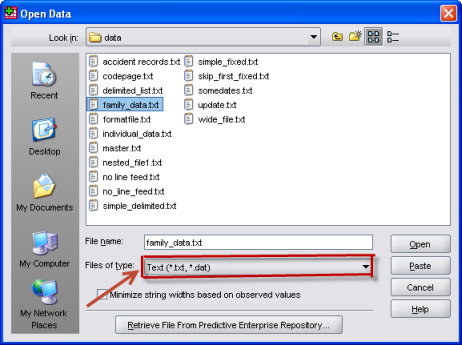 The GET FILE command allows SPSS data files to be read into SPSS . Go to File >> Open >> Data >> Select file >> In Files of type box , use drop menu to select SAS (*.sas7bdat) >> Press Open . 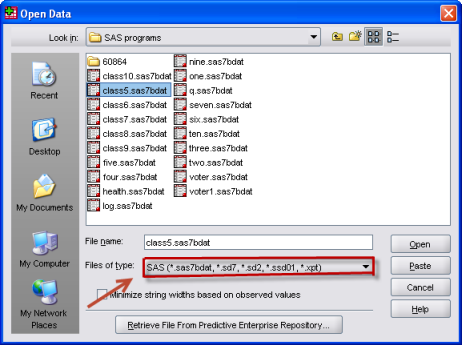 The GET SAS DATA command allows SAS data files to be read into SPSS . GET SAS DATA ='FULL PATH NAME'. GET SAS DATA ='C:\Deepanshu\Desktop\Data Files\merger.sas7bdat'. Go to File >> Open >> Data >> Select file >> In Files of type box , use drop menu to select Excel (*.xls, *xlsx) >> Press Open . 1. The /TYPE=XLSX command indicates that you are reading an excel 2007 (xlsx) data files. 2. The /TYPE=XLS command indicates that you are reading an excel 2003 (xls) data files. Extract data from a particular sheet in Excel 2003 workbook. Go to File >> Open >> Data >> Select file >> In Files of type box , use drop menu to select Text (*.txt, *dat) >> Press Open . 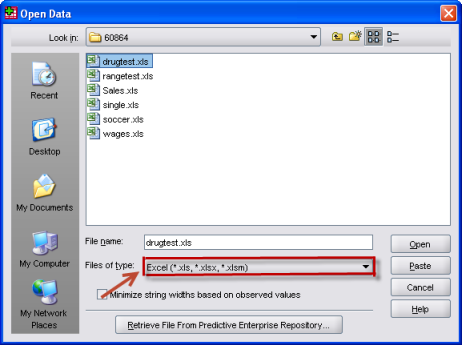 The GET TRANSLATE command allows tab data files to be read into SPSS . Here, /DELIMETERS="\t" command indicates that you are reading a tab delimited file.In this example, V1 is variable name and A14 indicates string variable type with width 14. /VARIABLES = salary DOLLAR8 salbegin DOLLAR8. Here, /DELIMETERS=" " command indicates that you are reading a space delimited file.In this example, salary and salbegin are variable names and DOLLAR8 indicates dollar variable type with width 8. Go to File >> Open >> Data >> Select file >> In Files of type box , use drop menu to select Stata (*dta) >> Press Open . The GET STATA command allows Stata data files to be read into SPSS . GET STATA DATA ='full path name'. 3 Responses to "Read Data from an External File into SPSS"
Hi, I am getting this error "Error starting the java virtual machine; unable to open file:" while open excel file is SPSS.